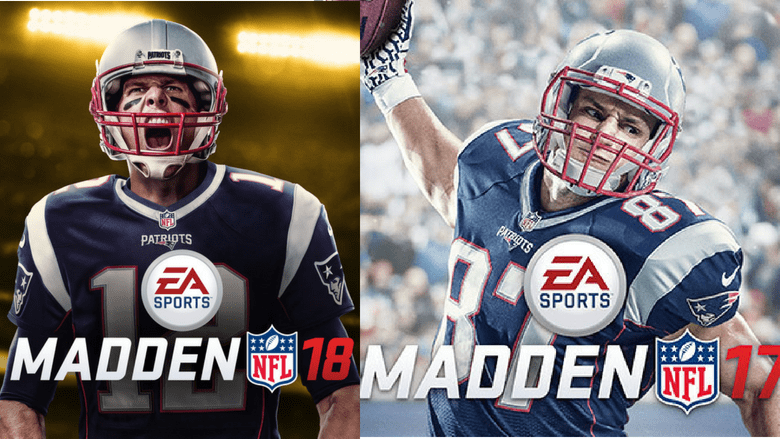 Why Madden 19's Cover Is the Best and Most Controversial One Yet | Nerd Much? Nerd Much - An enthusiast driven pop culture site for nerds by nerds. To be on the cover is a real honor I’ve wanted to always have because I have so much connection with the game…Growing up as a kid I played Madden all the time, was being inspired by the players in the game. And now to be on the cover, it’s a special feeling (ESPN). Another year, another cover. Most gamers find the Madden cover announcements to be a fun fact rather than something to spend much time thinking about. But this cover is a huge deviation from what normally comes from Madden covers and goes against what the NFL is known for: lack of individuality. When the franchise first began the cover of the game had none other than John Madden himself, former American Football coach and sportscaster. In 2001, the Madden cover was given to an athlete for the first time in franchise history (not counting the fact that Barry Sanders was featured in the background of the 2000 edition of the game). From 2001-2018 the cover athletes, for the standard editions, were as follows: Eddie George, Daunte Culepepper, Marshall Faulk, Michael Vick, Ray Lewis, Donovan McNabb, Shaun Alexander, Vince Young, Brett Favre, Larry Fitzgerald/Troy Polamalu, Drew Brees, Peyton Hillis, Calvin Johnson, Adrian Peterson, Richard Sherman, Odell Beckham Jr., Rob Gronkowski, and Tom Brady. All these Madden covers display the athletes mid-action, in their most aggressive form. And each football player is wearing his helmet. So it was shocking to see Antonio Brown on the cover, not just at ease but actually laughing. His helmet and arms are at his side, displaying openness—vulnerability even. While this is its own kind of strength, it’s in direct contrast to previous covers. Despite the violence football is known for, Brown isn’t showing us his game face here. Instead, it’s just his face. NFL owners have unanimously approved a new national anthem policy that requires players to stand if they are on the field during the performance but gives them the option to remain in the locker room if they prefer… The policy subjects teams to a fine if a player or any other team personnel do not show respect for the anthem. That includes any attempt to sit or kneel, as dozens of players have done during the past two seasons to protest racial inequality and police brutality. Those teams also will have the option to fine any team personnel, including players, for the infraction (ESPN). But what most rules in the NFL boil down to is the fact that they don’t want players displaying their individuality. It’s bad for their brand. Many of you may think that’s a ridiculous statement. Wouldn’t superstars and household names be good for the NFL? And aren’t there plenty of well known players already? Sure, but that’s all despite of the NFL. The reality is the NFL wants you to be a fan of their teams and the league, not individual players. Popularity is power and the NFL wants the upper hand. When it comes to the longevity of the NFL they’re banking on you being invested in the brand/teams; nothing else matters. To put it in video game terms, the NFL wants to be faceless to the same degree that Nintendo wants to protect their IPs. It becomes extreme. It seems like bad marketing. But it’s what they decided. That’s why the NFL is so strict on celebrations, cleats, protests, etc. Antonio Brown will eventually leave but if you’re a Pittsburgh fan, you’re a Pittsburgh fan for life. So of course they don’t want the focus on Brown. This is a large team sport in which all the players wear helmets. It’s about getting on and off the field. No personality or theatrics in between. By necessity players are literally hidden behind their helmet and face mask, but they’re also figuratively hidden behind the NFL’s policies. And they like it that way. In fact, senior brand director at EA Sports John Rabenovets had this to say about Brown: “His game is hot, he’s got a ton of personality on and off the field. 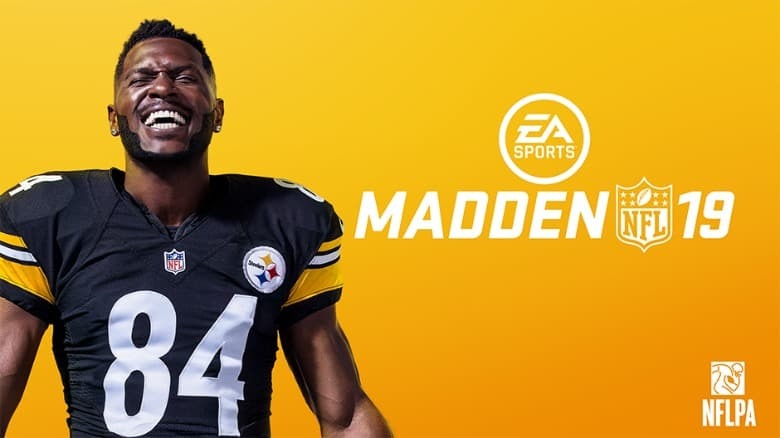 He was an easy choice for the Madden NFL 19 cover (ESPN).” EA Sports is putting Antonio Brown on a pedestal for the world to see and that’s the last thing the NFL would ever do. But wow, is it a refreshing change of pace for Madden covers. I only wish the NFL took a bit of that fun, personality, and positivity into their league. Janet Garcia is an editorial writer with bylines at IGN, Kotaku, and more. Her favorite genres are platformers, puzzle games, and simulators but in reality she spends most of her time playing FIFA tournaments in her apartment. Can the PS5 Survive in a Cloud-based Gaming Generation?